BARCELONA, Spain—This year's theme at Mobile World Congress is "Mobile is everything," and in no industry is that more clear than automotives, with seemingly never-ending chatter about self-driving cars and tech-powered features. During a keynote today, Ford CEO Mark Fields laid out the automaker's plan to differentiate its cars of the future from models that tech giants like Google and Apple are building. To get there, Ford is tripling its investment in both autonomous and driver-assisted technology over the next five years. 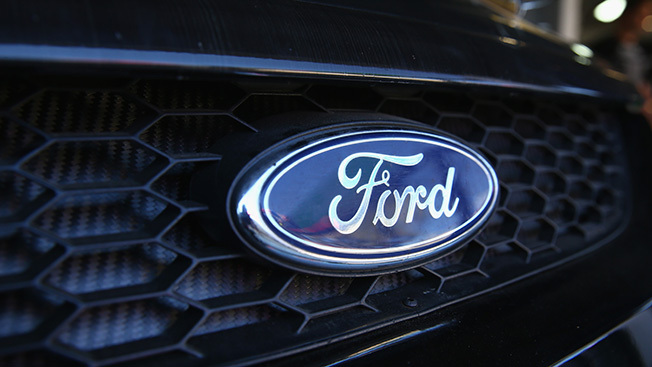 "At Ford, we've been focused on autonomous vehicles for more than a decade, and this year, we'll have the largest autonomous test fleet among all automakers," Fields said. "During the next five years, we're tripling our engineering investment in driver-assist and semi-autonomous vehicle technology and accelerating availability for our customers." Later this year, Ford will start testing its self-driving cars in California after experimenting with them in Michigan and Arizona. Fields acknowledged that fleets of self-driving cars are still years away, but he mentioned that some Ford cars are already equipped with features like controlled parking and steering. The Dearborn, Mich., company will roll out seven new models in Europe in 2016, including Kuga—an SUV that has built-in autonomous features like braking and parking plus Ford Sync, the automaker's in-car entertainment system. Fields explained that Europe in particular is a big focus for Ford's on-demand efforts since 73 percent of Europeans live in cities and are less likely to own a car. "Almost half of GoDrive customers don't own or have access to a car, which means that they don't currently engage with Ford or buy our vehicles," Fields said. "That means that GoDrive is bringing new people to Ford." Indeed, the ride-sharing industry is proving to be a lucrative business, and the world's biggest automakers like Ford and GM want a piece of it. Fields cited a stat that the traditional global automotive industry generates $2.3 trillion in revenue each year, with roughly 6 percent coming from Ford. Meanwhile, transportation services like mass transit, taxis and ride-sharing services bring in $5.4 trillion in annual revenue. "That is a massive opportunity, and it's the reason we're expanding our business model and our customer offerings," Fields said. "We're further growing our core business, which is all around designing, manufacturing, marketing, servicing and financing great cars, SUVs, trucks and electrified vehicles," he said. "But at the same time, we're aggressively pursuing emerging opportunities through Ford Smart Mobility and becoming part of transportation services to meet customers' needs and become part of a huge revenue stream."